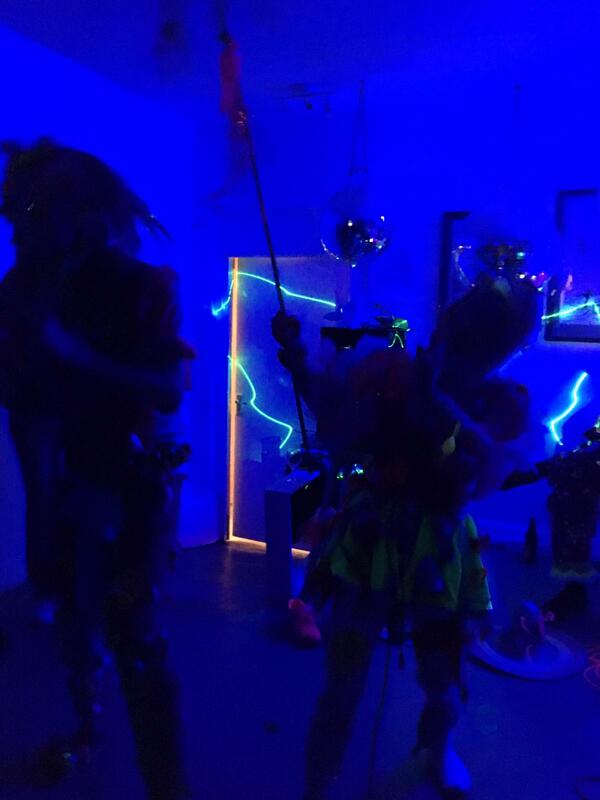 Well, that was one bizarre-colourful-dada-krazykpop-hella fun weekend! 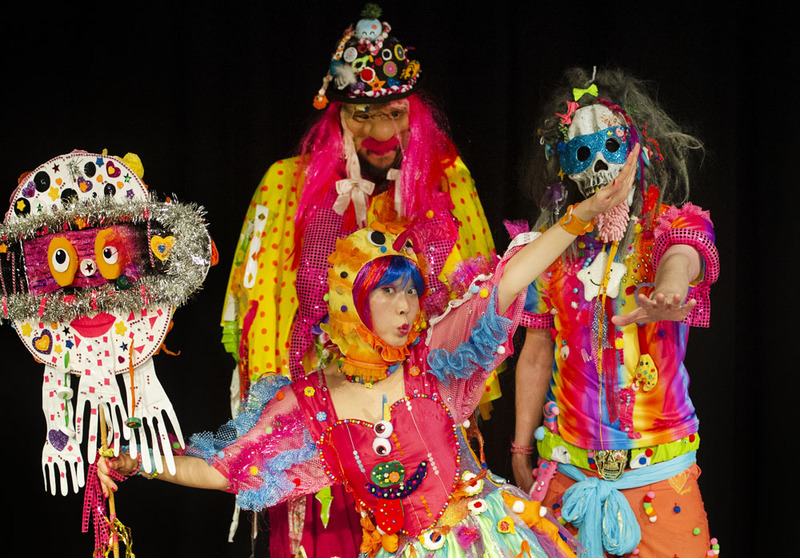 With two sold out shows we were crafting and bopping all over the place with Tirikilatops, bringing UFOs, snail parties and magic formulas to the streets of Birmingham at both Artefact and Mac Birmingham following their performance at Supersonic 2018. Starting the weekend we had a truly weird and wonderful night at Artefact, an artist-led, community-focused arts space in Birmingham. 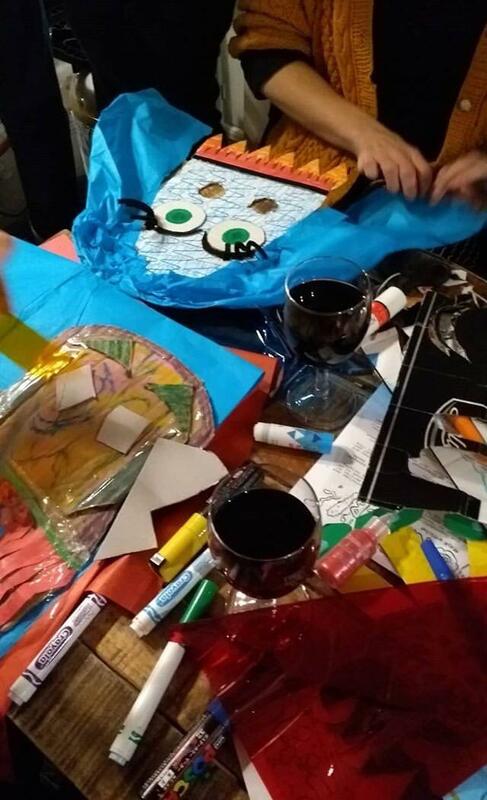 Acting as a pre-cursor to the Supersonic Kids Gig the next morning, Supersonic hosted an evening of mask making ahead of a more intimate- yet no less raucous- Tirikilatops show into the night. The k-pop duo led a Korean Dokkaebi Mask making workshop with some…err…interesting results…with these final products being shown on the dancefloor with the audience dancing to some Kimchi beats. 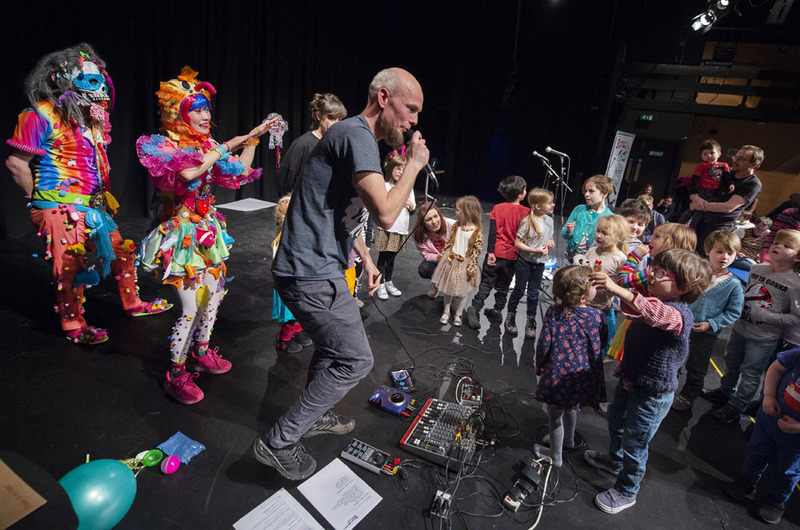 The following morning marked the return of the Supersonic Kids Gig at Mac Birmingham, bringing more almighty sounds for little people. 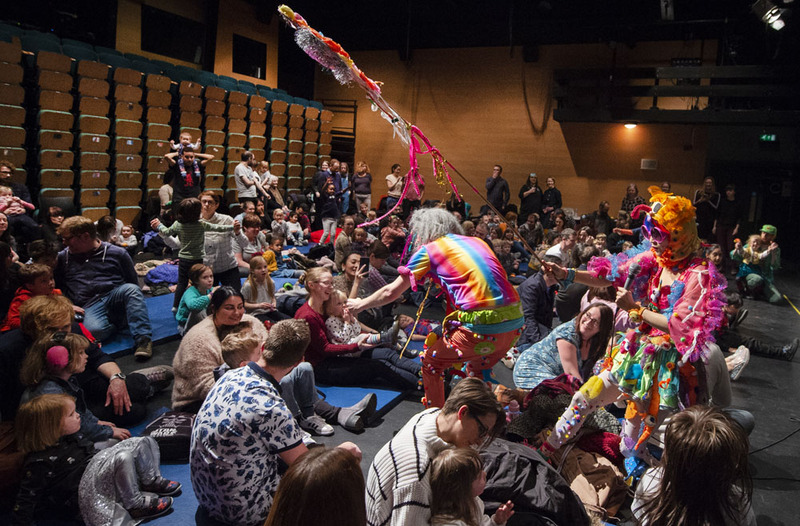 If you couldn’t guess from the snappy title, it’s a gig, for kids and their families, which aims to introduce children to experimental music at an early age. 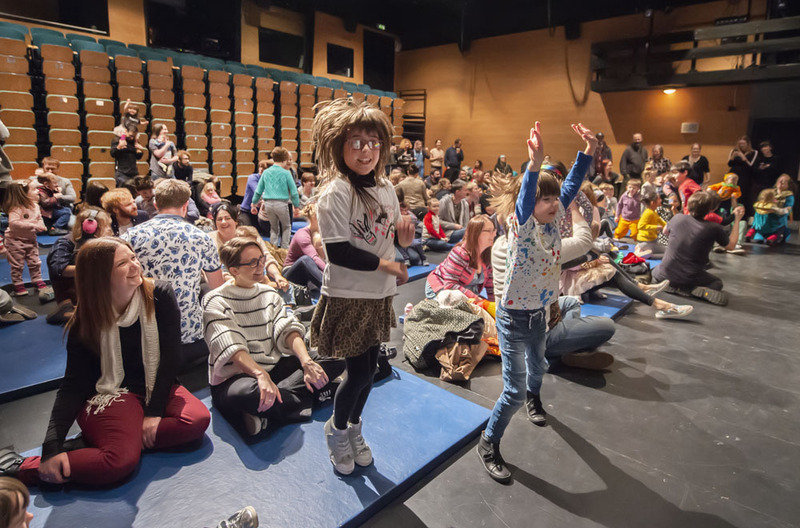 With the fabulous Sam Underwood introducing, our tiny audience members (and not so tiny parents) were taken on a journey through sound loops, Korean animal names, monster making and a bit of instrument playing themselves. 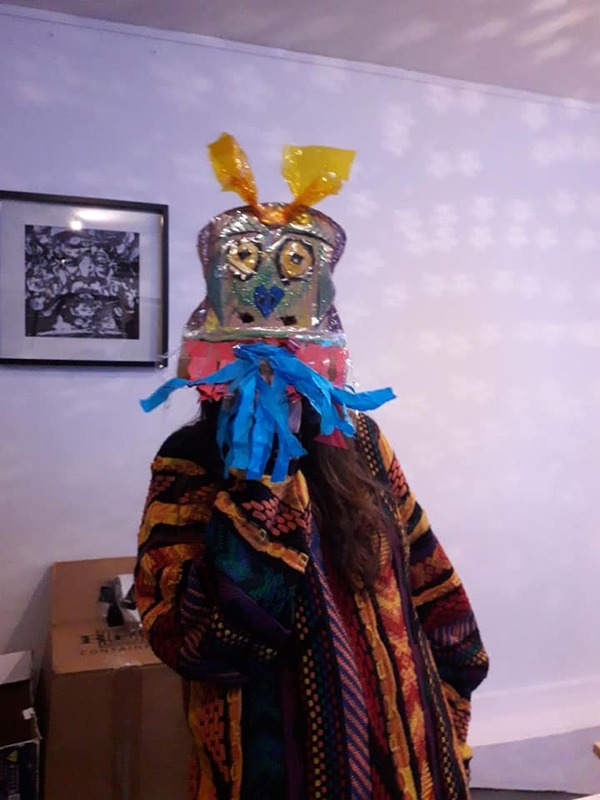 With the forging of bizarre electro K-pop with kimchi beats, offbeat lyrics and super earworm melodies, this force of surrealism, dada, forteana and charity shop finds may have been our most eclectic Kids Gig yet! Big love to all who joined us for this unforgettable weekend, with thanks to Artefact and Mac Birmingham for hosting and to Tirikilatops for guiding us through a surreally superb weekend. DON’T MISS OUT ON OUR UPCOMING EVENTS! Both our Tirikilatops events were sold out shows, so CLICK HERE to see what’s coming up and get your tickets in time! !